Purportedly named after the stands of Spicewood timber that dotted the area along the Little Cypress Creek, Spicewood, Texas is nestled along picturesque Lake Travis and is located a scant twenty-two miles southeast of Austin. Perhaps the town’s most famous resident, Willie Nelson, might be sitting at the table next to you as you enjoy your morning cup of joe at Lee's Almost By The Lake. The Spicewood, Texas real estate market affords a myriad of options when looking to relocate to the central Texas area. With a 2011 population of 7,666 residents, the town has experienced a significant population growth from the 2,000 people who were listed as citizens according to 2000 United States Census data. Whether you are thinking about picking up a floral bouquet at Dickens Dawn, or you need to send a money order from the Pedernales Country Store, shopping and getting around town is easy in Spicewood, Texas. While there are no shopping malls within the city of Spicewood itself, residents are not found wanting when it comes to locating convenient shopping options within a reasonable distance. 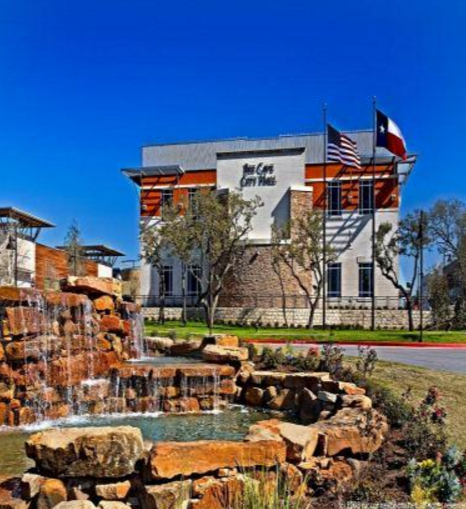 Indeed, situated in nearby Bee Cave, Texas, Hill Country Galleria offers a number of national chains, including anchor stores like Dillard’s and Whole Food Store along with a number of specialty stores to meet any demands. If you get hungry in your travels, J5 Steakhouse, located right in the heart of Spicewood, is serving up their specialties, like their famous firecracker shrimp or succulent New York strip steak. Other area favorites include Spicewood’s own Opie’s Barbeque, Angel's Icehouse, Spicewood General Store, Briarcliff Bistro and Bacon Bar, R.O. 's Outpost and Poodie’s Hilltop Roadhouse, which are grilling up delicious hamburgers and offering incredible sunsets as you enjoy your meal. Due to its low population density, Spicewood is described as a quiet town to live in as it is absent the trappings associated with big city living. The Spicewood, Texas real estate market runs the gamut of prices, with many homes going for over $1,000,000 as well as homes for just under $100,000. Additionally, the median house price of $373,038, which makes Spicewood, Texas real estate a bit more affordable in comparison to nearby Austin. Upon settling into Spicewood, you will come to find that your neighbors are a decided mix of both white and blue collar positions. In general, the city is home to office workers, professionals, service providers and retail sales workers. Low crime and a rural setting make for good living in the Texas high country. Some of the larger subdivisions in Spicewood include Colonia Serendipity Big Bee Creek, Briarcliff, West Cypress Hills and Pedernales Bend. Recreational activities abound in Spicewood, Texas. To enjoy a day out, all one needs to do is set their adventure compass and head out for a fun-filled day of excitement. Towards that end, if you live near Spicewood, Texas real estate, and your idea of fun is zip lining your way across the Cypress Valley treetop canopy, or you have your eye set on burning some calories by walking the nature trails along beautiful Lake Travis, you have many opportunities to get out and enjoy the great outdoors. Conversely, if nature is not your thing, perhaps you would find an afternoon sampling the region’s wine offerings on a guided tour to be more your liking. 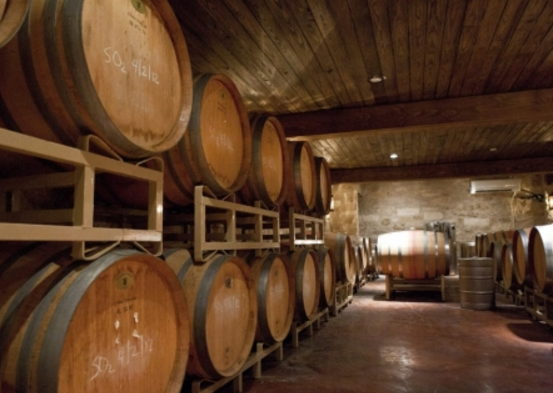 Whether you are sipping at the Spicewood Vineyards, quaffing it down at the Stone House Vineyard, or tasting the samples at McReynold’s Wines, you are sure to find the perfect bottle of red wine to go with any meal. The town’s younger citizens are served by four different local school districts. A student living in Spicewood will have available include Lake Travis ISD, Marble Falls ISD, Dripping Springs ISD and Johnson City ISD. which attends to the educational needs of Spicewood’s student population. That the community takes education seriously is shown in the relatively high expenditure per pupil that stands at $5,711 annually. Sitting astride Highway 71, Spicewood, Texas real estate commuters are well positioned to get around the area, with commute times at slightly over 30-minutes per trip. Due to its small size the town does not offer a public transportation option, so owning a vehicle is pretty much a necessity for all those but the eleven percent of workers who reportedly telecommute to the workplace. Community health needs are met with a comprehensive hospital network in the area. Whether you are visiting the Marble Falls Minor Emergency clinic to patch up an injury, or you need to check into a hospital for more serious treatment, you will find a bed and caring medical professional by your side when you live in the Spicewood, Texas real estate market.